James Gandolfini's Estate: What Does James Gandolfini's Last Will Say? Actor James Gandolfini, best known for portraying mob boss Tony Soprano in HBO's hit series The Sopranos, died from a heart attack on June 19, 2013. He was only 51. Mr. Gandolfini was survived by his second wife, Deborah Lin, and two minor children, Michael, age 13, and Liliana, age 9 months. (a) Assistant Paulette Flynn Bourne, also known as Trixie Flynn, is left $200,000. (b) Friend Fatima Bae is left $50,000. (c) Niece Laura Antonacci is left $500,000. (d) Niece Jenna Antonacci is left $500,000. (e) Godson Robert Joseph Parish is left $100,000. (f) Friend Thomas A. Richardson is left $200,000. Clothes and jewelry are left to son Michael Gandolfini, "to be his absolutely," and which "he may distribute in his sole determination." All remaining tangible personal property is left to wife Deborah Lin, "to be hers absolutely," and which "she may distribute in his sole determination." A trust that was established for the benefit of son Michael Gandolfini outside of the will has the first option to purchase a condominium located at 429 Greenwich Street, Unit No. 5C, New York, New York, including parking space number 9, at its fair market value. (See more on this trust below in paragraph 12.) If the trust does not exercise this option, then the condominium will be distributed as part of the "residuary estate" as discussed below. There is a specific provision in Section Sixth which states that aside from the tangible personal property and portion of the "residuary estate" going to wife Deborah Lin, James Gandolfini also "made other provisions" for her outside of the terms of the will, and so he did not make any additional provisions for her in the will. A testamentary trust is to be established to hold a house and land located in Italy for the benefit of son Michael Gandolfini as to 50% and daughter Liliana Ruth Gandolfini as to 50%. When both reach 25, the house and land will be distributed to them outright and free of trust. The will also specifically states that it is James Gandolfini's "hope and desire that they will continue to own said property and keep it in our family for as long as possible." It is not indicated where the house and land are located in Italy, but it is speculated that James Gandolfini inherited this property. There is a specific provision in Section Ninth which states the following: "I have in mind my beloved son, MICHAEL GANDOLFINI, but I am not providing for him other than as set forth in this my Last Will and Testament because I have made other provisions for him." See more on this below in paragraph 12. Any shares to be distributed to a minor beneficiary who is under the age of 21 will be held in trust until the beneficiary reaches 21. Wife Deborah Lin, sister Leta Gandolfini, and attorney and friend Roger S. Haber are named to serve as Co-Executors of the estate and Co-Trustees of the testamentary trusts. The will states that if a mother of a minor child predeceases the actor or cannot serve as guardian for any reason, then sister Leta Gandolfini is named as guardian of the minor children, with sister Johanna Antonacci named as the backup guardian. 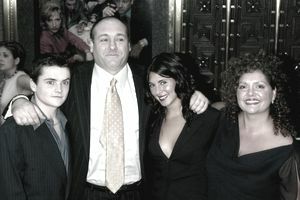 An affidavit filed with the will and signed by James Gandolfini's longtime business manager, Valerie Baugh, states that on December 20, 2002, an Irrevocable Life Insurance Trust (or "ILIT" for short) was established for the benefit of son Michael Gandolfini as part of the divorce settlement between the actor and his first wife and mother of Michael, Marcella Wudarski Gandolfini. According to the affidavit, the ILIT holds a $7 million policy on James Gandolfini's life and his sister, Leta Gandolfini, is the Trustee of the ILIT. Apparently, this is the trust that will have the first option to purchase the New York City condominium as discussed above in paragraph 4. Has Your Will Gone Stale and Become Invalid?